Patch Giveaway rules » Canterlot Avenue | The Roleplay & Social Site! 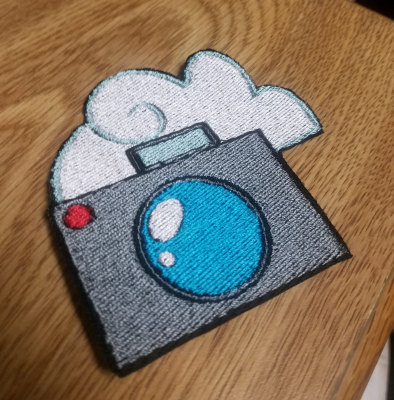 This is a giveaway for 1 free patch! - There is a secret password to add to your entry, it's "Thanks, Kay"
- There is only one entry per person, anyone who tries to enter with their different characters will be disqualified so choose which cutiemark you want wisely! Winner chooses if it's iron on, Velcro, or sew on. Will be a max size or 3x4inches, may not be perfect in color and stitching due to these being homemade. The actual secret password is, Thank you for the chance. That will give you an actual entry if you put it at the end of your forum post. The thread used will be a shiny embroidery thread, I used a Brother machine to make these so stitching is as accurate as possible. If your cutiemark has many floating objects that don't touch each other the winner can choose to have them connected with the color of their choice. BTW this is free shipping anywhere. Gen Tonic, Dream² and 2 others liked this.